The other day I noticed that the daffodils I planted last spring in the washer were coming up, and am so glad! Spring is truly on it's way! 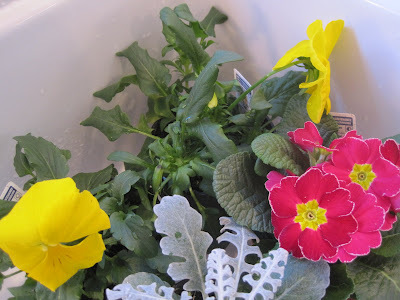 I will show you a picture of these flowers again when I plant them! btw~thank you for stopping by my blog and the lovely comment..so glad to meet you! Hope you got those planted today--it is gorgeous outside today! Hey, did you get your award? if not, go and get it from my page and send sunshine to others as well. have a nice day! I am over in Spokane and it has been gloomy since I got here (though I did hear the sun is coming out tomorrow) Funny thing is my husband say our weather has been good at home! Do you know I live on a hill above major Daffodil fields and the farmers are already picking them to sell in stores (this is rare for them to be ready this early) I've been wanting to plant some pansy's myself-Everything is blooming here south of Seattle! Love it! Gorgeous flowers. I am ready for spring too! I am in trouble... I just posted that I would be cutting back on following blogs and here I go, adding your lovely blog to my roll! 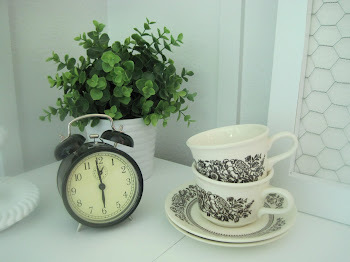 Your blog is one that I so want to read... it is beautiful! Thank you so much for stopping by to see me today and for your prayer! I know He hears them! It was so gorgeous yesterday that I planted some grapes and started cleaning up my raised beds. Only today it's rainy and by the end of the week we should get some snow mix! ugh I really can't stand it anymore! Your flowers were a lovely bright spot in my day! They are beautiful! I hate to make you jealous, but we had near 70 degrees and sunshine yesterday. It was wonderful! The crocus's (sp?) are blooming here too. I can't wait for Spring either, it can't happen soon enough for me. See you later this week and thanks again for watching the boys for us last Thursday. DH & I so enjoyed our date night. So pretty! I'll be putting out pansies very soon and I am so excited! I'm thankful that this winter season is almost over. When I think of you I think Maytag washer...it's your signiture piece! Spring has sprung down here in Florida. It's sooo differnet from MI where I lived before! There is pollen on my car. If I were in Mi, I'd have inches upon inches of SNOW on my car. We are getting a nice gentle rain right now which will wash away the pollen...I am thankful. I can hardly wait to plant some flowers, but will have to use pots because the soil here is too sandy! Hoping your day is a nice one.